Hi there, welcome to JustRite Papercraft's November release! Today on our blog we have a big release day, so make sure you check out all the gorgeous new designs on the JustRite Papercraft website as you don't want to miss any of them! We have 4 brand new fabulous stamps sets and 5 brand new super fun dies! Today I am sharing with you my favorite card and in a few days I will share the other ones I created as well. For my favorite card I chose the one I created with a gorgeous stamp set called Remember You Are. I love to play with watercolors, so I used my Koi watercolors to create my background with and I stamped the perfect words on it. I also stamped one of the flourishes using green and pink ink, cut it out and attached it to my card front. I die cut my card face panel using Cheery Lynn's A2 Frames Rectangular Scalloped dies. 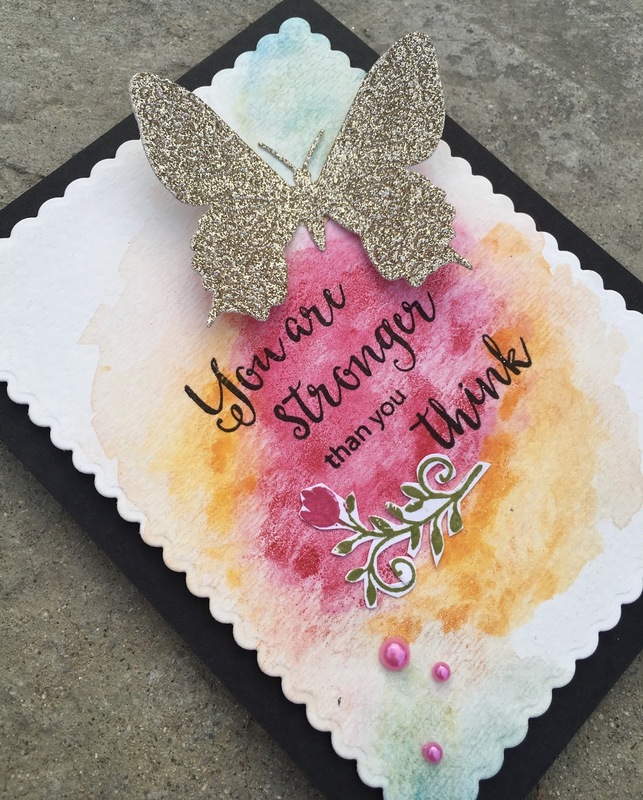 Finally I die cut a butterfly using Small Exotic Butterflies #1 die out of gold glitter card stock. Thanks for stopping by and enjoy seeing all the pretty creations!